CAUTION: Immediately Visit a Doctor If You Have These Types of Headache!!! Home » Health » CAUTION: Immediately Visit a Doctor If You Have These Types of Headache!!! 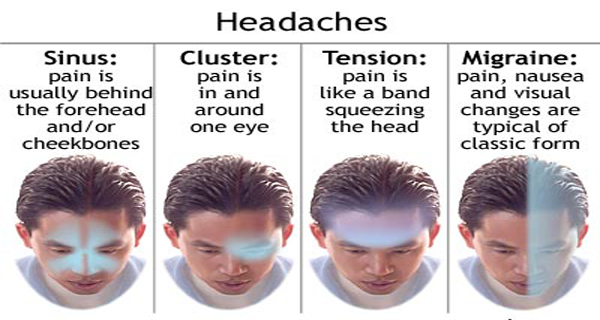 There are headaches which are not dangerous and are usually triggered by tension, stress or sinuses. On the other hand there are also headaches which are more serious and dangerous and you need to visit a doctor immediately. A headache due to brain bleeding after a stroke, head injury or aneurism is severe and frequent and it happens suddenly in one minute only. This type of headache happens after suffering a head injury after which you need urgent medical attention. Consult a doctor because you may have concussion. Even minor head injury may cause headache due to brain bleeding. This headache starts in the head and neck when you are lye still and in the same time you feel stiffness of the neck, confusion, vomiting and the light bothers you. It can be a sign of hemorrhage caused by raptured brain aneurism, which means that you need a medical attention as soon as possible. Sudden headaches which go together with severe pain, weakness of the arms, legs and face, numbness in one side of the body, trouble with speaking or walking, and problems with vision on one eye or both. Immediately visit a doctor as it can be a sign of heart attack.